May Industries is a one-stop company to smoothly handle and expedite your needs, either as prototype, parts, or a finished product. Yes, we can do it! 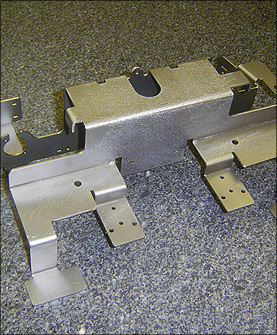 We invite you to contact us today for a quote or prototype at 440-237-8012. Solid Works to import your files. DXF, DWG, IGS, SLDPRT and STP files. Turret punch machine: WIEDEMATIC W-3050 and WIEDEMANN -3000 with 48" x 72" table capacity. 60" x 120". The machine includes a fully integrated and automated sheet handling system. Capacity: 1" steel – 0.5" stainless steel - 0.5" aluminum. Sanders to handle all finishing, graining and deburring needs. PACIFIC, KOMATSU, WYSONG, LVD, ACCURPRESS CNC press brakes Capacity: from 80 to 500 tons. Pneumatic insertion presses, ability to insert any kind of Press Nuts available including PEM, Southco. Taylor-Winfield, Peer, Sciaky spot welder to satisfy all of your Aluminum, Stainless and Steel needs. Capacity: from 75 to 150 KVA. 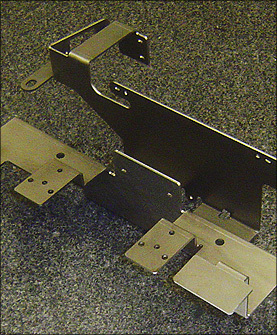 Stud welding of studs and standoffs on aluminum, stainless and steel for a distortion free surface. 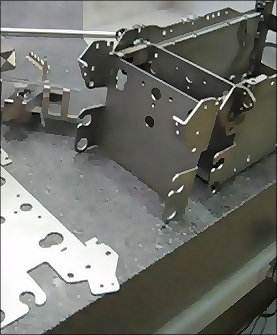 Worker Robotic Welding Cell, Dynamic Robot, Fanuc Robotic Welding, Lincoln and Miller machines along with competent welders to handle the majority of aluminum, stainless and steel jobs. A leading edge 620' powder coat line with a Gat 3 stage iron phosphate washer, dry off oven. From camera-ready artwork to single or multiple colors we can achieve the quality you need. 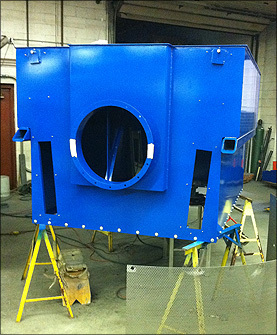 May Industries of Ohio has a separate assembly area to perform your final assembly operations.